Aperol, the Italian aperitif owned by Gruppo Campari, is looking for an agency to create experiential campaigns, Campaign's James Swift reports. The brand has approached Creativebrief to help with the process and is in talks with a variety of agencies, but is not looking to be approached directly by agencies. The brief is understood to span events and experiences, such as the brand's House of Peroni, as well as day-to-day tasks. Aperol’s popularity in the UK has soared in recent years. Sales at Waitrose rose 800 per cent in 2014, thanks to the popularity of the Aperol Spritz cocktail, which also includes soda and Prosecco. In January last year Aperol became Manchester United Football Club’s global spirits partner. In other pitch news, dog welfare charity Dogs Trust is approaching agencies about its integrated account. 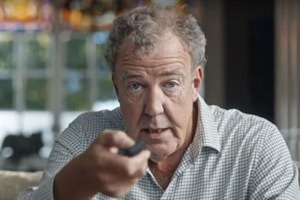 Jeremy Clarkson, the former BBC Top Gear presenter, has made light of his dramatic exit from the corporation earlier this year in a new ad for Amazon, Campaign's Omar Oakes reports. The ad by Lucky Generals (directed by Steve Reeves through Another Film Company) will air tomorrow during the Rugby World Cup Final. Lucky Generals joined the Amazon roster in August last year and created the e-commerce giant’s first UK ad for Fire TV in October. 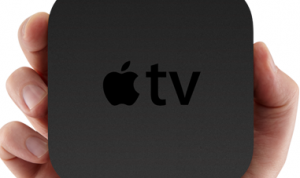 Writing on The Wall, George Proudfoot, strategist at The App Business, discusses the implications of Apple's "concerted attempt to bring apps deeper into our homes" with the Apple TV. The device will start with content, but Proudfoot thinks there's potential far beyond that. He said: "In time, we can expect smart brands to use this device as a way to serve a broader range of in-home needs, from turning up the heating, to doing the weekly shop, to reviewing your day ahead." We recommend looking at what people do in their homes when they are not giving the telly their full attention. Then, think about how an app might be able to augment or improve it in a way that people will find compelling. With 80% of mobile owners already shopping while the TV is on, it is clear there is plenty of potential for retailers and travel companies to inspire and sell on the big screen instead. The integration of Apple’s Homekit also points to some intriguing possibilities for energy companies to offer a more compelling ‘life admin’ experience than a pile of paper bills. It doesn’t seem too fanciful to see the future Apple TV as a shared ‘home hub’ that intelligently helps your home run better, arrange your weekly shop and book your next holiday. Read on for more from Proudfoot. How could we, or brands and agencies for that matter, ignore the spookiest of days? Top tip if you haven't sorted out a costume yet, get down to a Volvo dealership to pick up some LifePaint for an easy, and safe, DIY costume. Greenpeace is targeting VW with a pumpkin-themed campaign, demanding the beleagured company develops an affordable electric car to make up for the misdeeds. 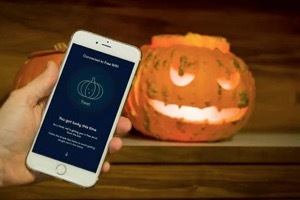 Elsewhere this year, DigitasLBi has set up a Wi-Fi enabled pumpkin that gives users a "trick or treat experience" to highlight the potential risks of connecting to free hotspots. But we particularly like Campaign and Marketing picking up the creative ghosts of Halloween past. Campaign's best Halloween ads from the past five years features this Shining pastiche by BBH for Ikea Singapore. Marketing teamed up with Unruly to find the most shared scary videos this year, and up popped this. Definitely the most unintentionally creepy ad ever. ...they'd stick hops in it. Makes sense. 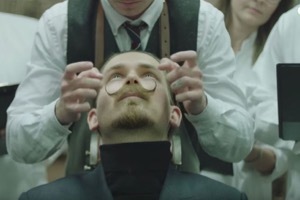 Marketing's Sara Spary reports that Carlsberg has launched a range of shaving products – a shaving gel, aftershave cream and a moustache cream made with 200ml of freeze-dried Carlsberg – in support of Movember. The main ingredients in Carlsberg – hops, barley & yeast – have "beautifying properties" for hair and skin, the brand claims. Carlsberg first dipped a toe into the world of cosmetics in June with the launch of its limited edition mens-care range.